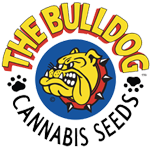 Bulldog Seeds - Haze Auto. Free US delivery. The AutoFlower Haze is the combination of the cannabis ruderalis species, originating in central Russia, with the famous Haze Sativa plant.